Originally from the East Coast where she received a BA at Susquehanna University, Pr. Amanda moved west to attend Pacific Lutheran Theological Seminary where she graduated with her MDiv in 2004. Called previously to Medford, OR and Mount Vernon, WA, Pr. Amanda has been serving alongside the members of Central since August, 2013. You can find her on Facebook and hear sermons on her Blog - Word Balancing. Pr. Amanda successfully defended her dissertation and has been awarded her degree of Doctorate of Ministry through Portland Seminary under the mentorship of Dr. Leonard Sweet. Her work on this can be seen at Jesus, Take My Wheels. Martin Ellis is a church, concert, and theatre organist. Before taking the Director of Music Ministries role here at Central, he worked at Rose City Presbyterian Church in the Hollywood District. Prior to his move to Oregon, Martin worked for North United Methodist Church and the Indianapolis Children’s Choir and Youth Chorale in Indianapolis, Indiana. Currently, he also works for Gresham High School’s Theatre Arts Department as their resident piano accompanist. Linda Bergman holds degrees in Education and Music. She has taught all levels of music in public education, recently retired from teaching in Vancouver, Washington. Linda has always been involved in church music through directing English Handbells, Children's music or playing the flute. I love feeling inspired by the congregational singing while playing my flute. I feel that the partnership of the musicians and the congregation together, enhance the spiritual experience for everyone. Joellen Sweeney is a teaching artist, director and actor who has served as the Sunday School Instructor at Central since 2015. Joellen has experience teaching and mentoring youth ages 2-18, helping students to develop their unique creative voices in a positive, empowering classroom community. Previous teaching experiences include work for the Northwest Children's Theatre, MESD Outdoor School and Young Musicians & Artists Camp. Joellen is also an active performing artist, working locally with Artists Repertory Theatre, Shaking the Tree Theatre, Enso Theatre Ensemble, Portland Experimental Theatre Ensemble and Third Rail Repertory Theatre. In her spare time, Joellen enjoys hiking, studying ocean science and spending time with her husband, Alec, and their goofy cat, Frida. Klaus has been serving the people of Central for several years and enjoys doing so. Before he got to Central, Klaus taught elementary, middle and high school band for over ten years. 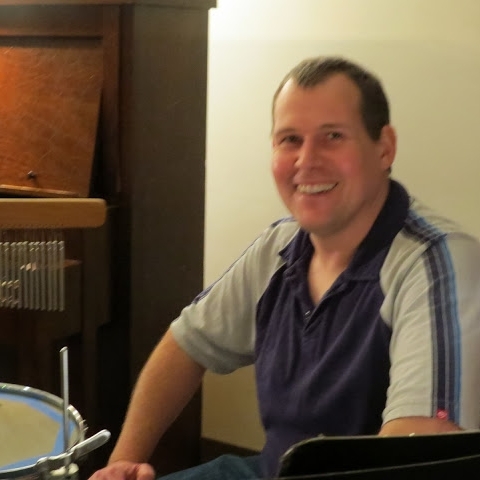 He continues to teach drums and music privately, and plays in several bands in the Portland area. When not working, he enjoys the outdoors, live music and volunteering.